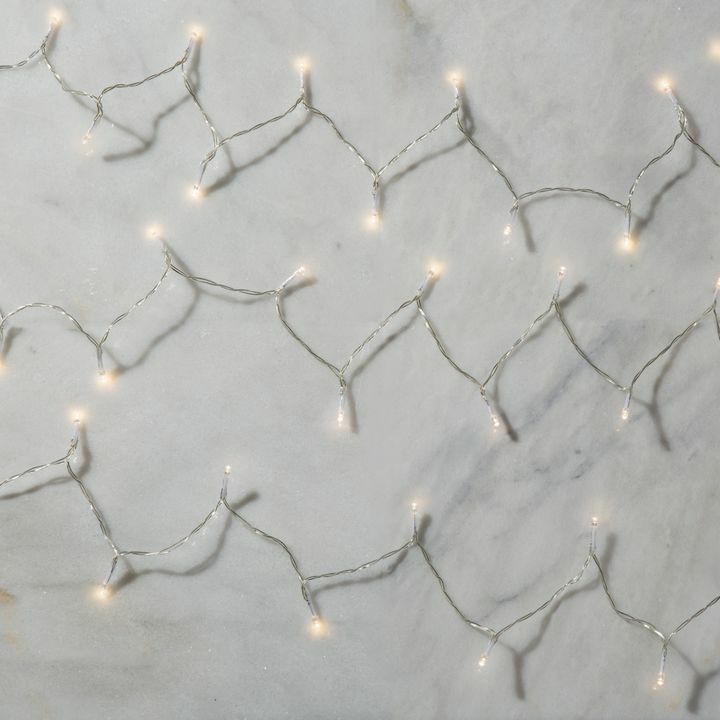 There are only 15 available of the Warm-White LED Battery-Powered String Lights, Set of 3. Your selected quantity has been adjusted. 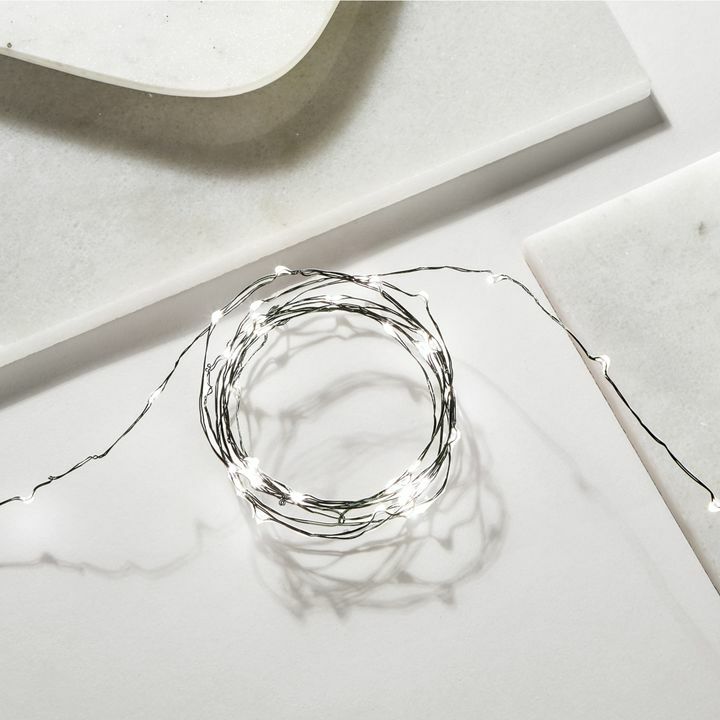 This set of string lights feature three strands of warm white, energy-efficient LED lights strung along eleven feet of clear wire. 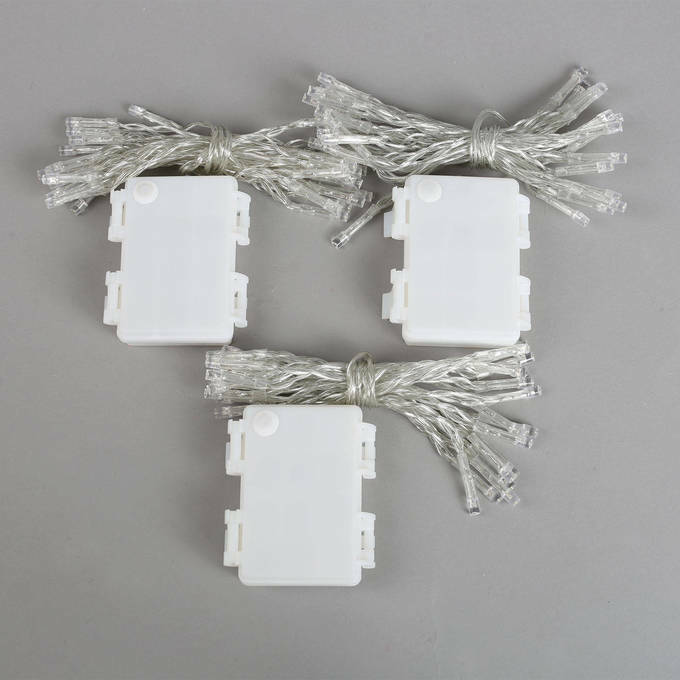 Each strand is powered by its own battery box - so wrap or weave without the worry of finding the nearest outlet. 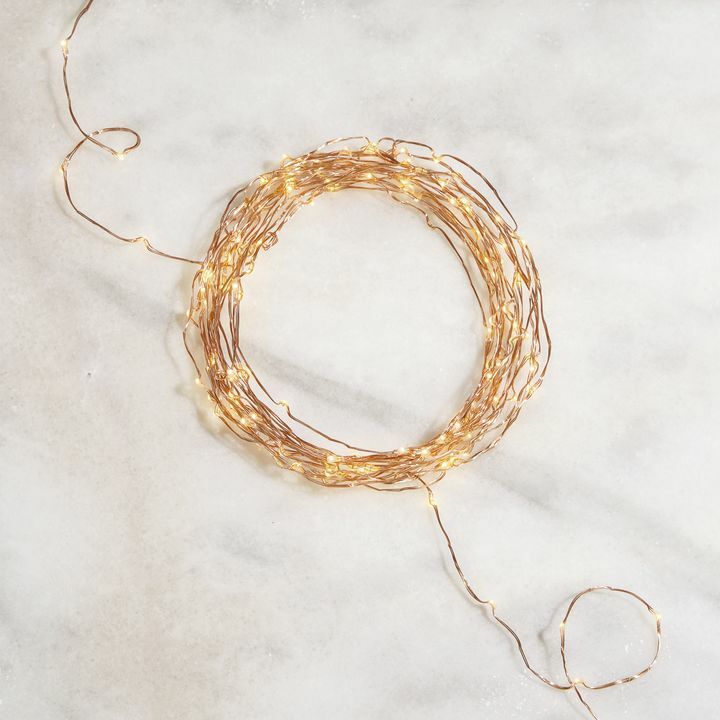 String along a dresser or a coffee table for a touch of magic. 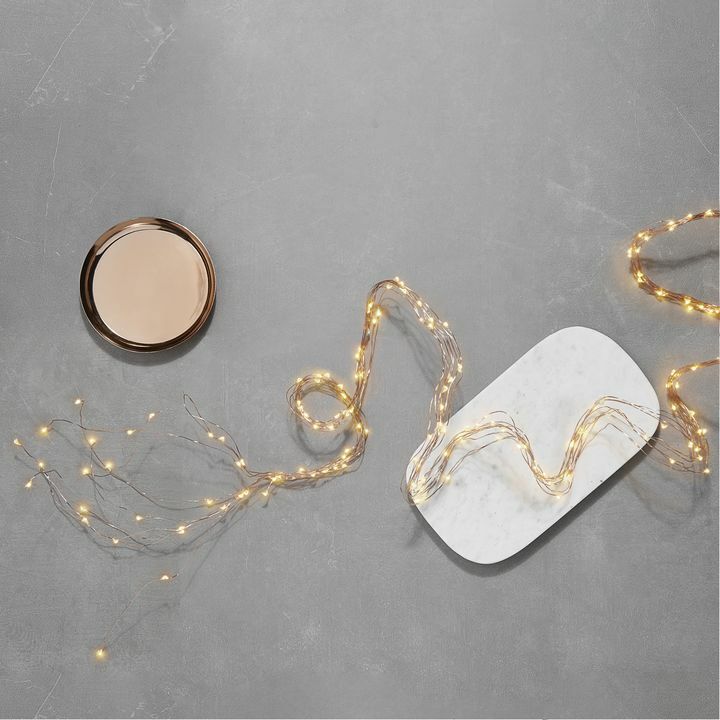 These battery-powered lights are perfect for highlighting areas in your home whether it is Christmas or not. 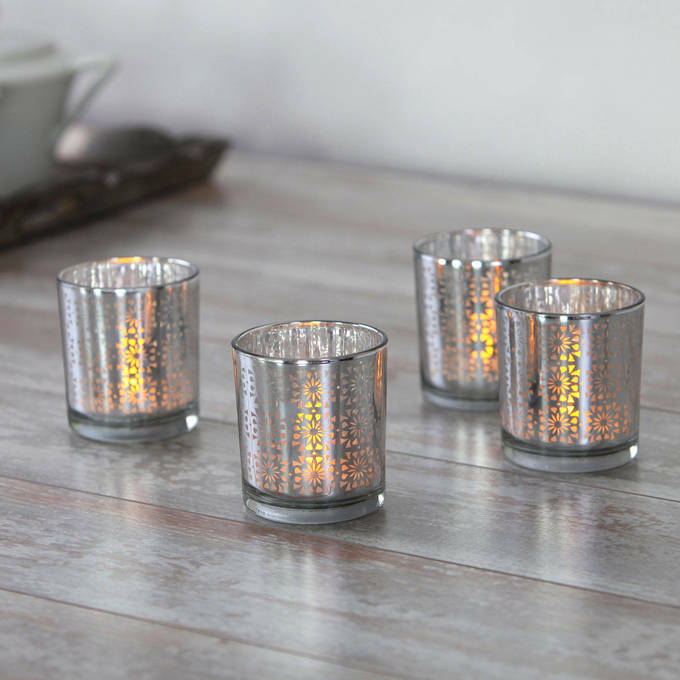 With clear wires, and warm LED lights, they are easily hidden away until you want them to shine! I ordered on-line and received my order almost instantaneously! I am very happy with the result. 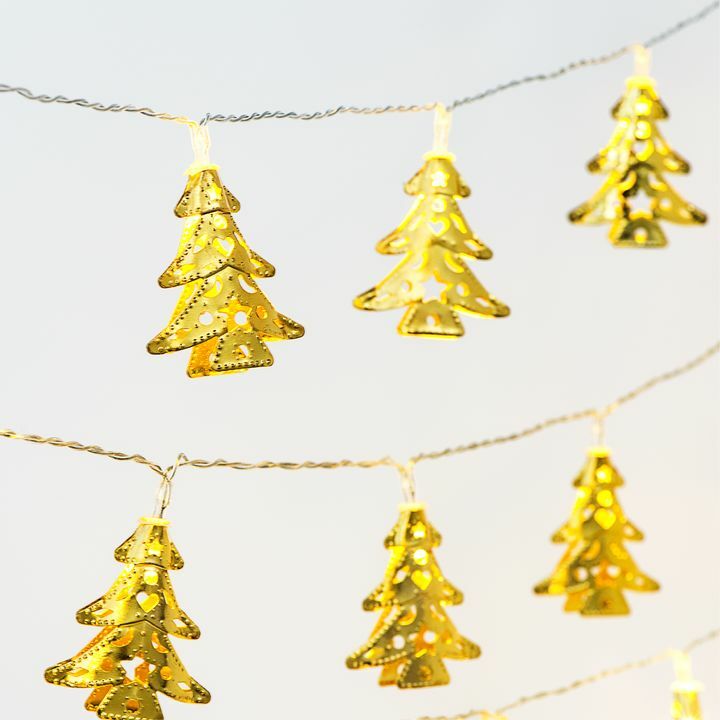 Great lights, but if you put them in a tree you will need to use two set of string lights to get a better look. Other than that they are great. Awesome, well worth the money. These lights are terrific. Have used them for a huge event a couple years ago. No failures. Reliably great. Then recently ordered 3 more boxes for home/church use. So easy to use. Bright. Perfect everywhere. Now I have them on tables and in a front door wreath. Has become a staple item. 3 AA and off you go--and now they come with the batteries too! I got these to hang them from some trees at a wedding and it was beautiful. Will definitely order again. Pretty. Just bothersome it requires so many batteries. 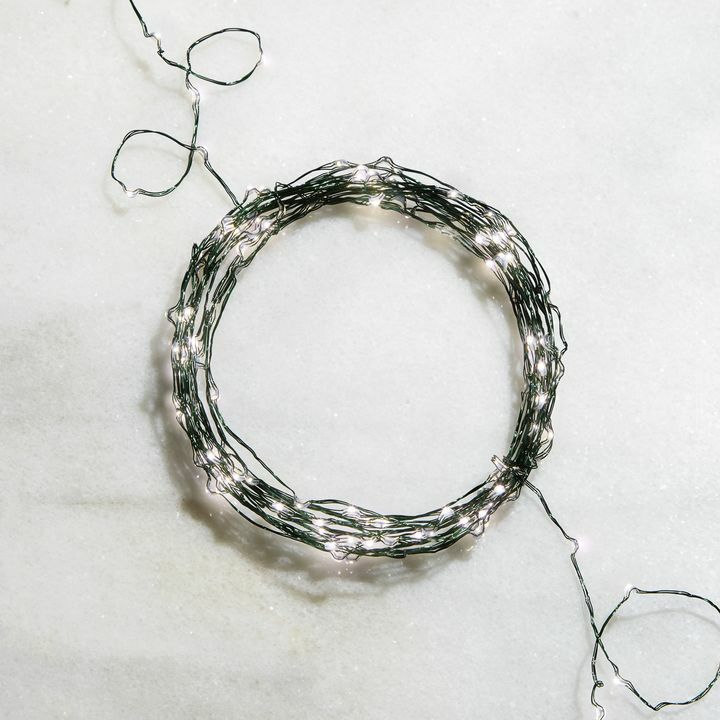 I wrapped all three strands that came with my order around a decorative metal Eiffel Tower and placed it in a rarely-used but nicely-tiled basement shower where I could not have used an electrical cord. Even with all three strands, the effect was not as bright as it would have been with an electrical light set, but it is still nice and adds a warm glow that accentuates the shower colors. 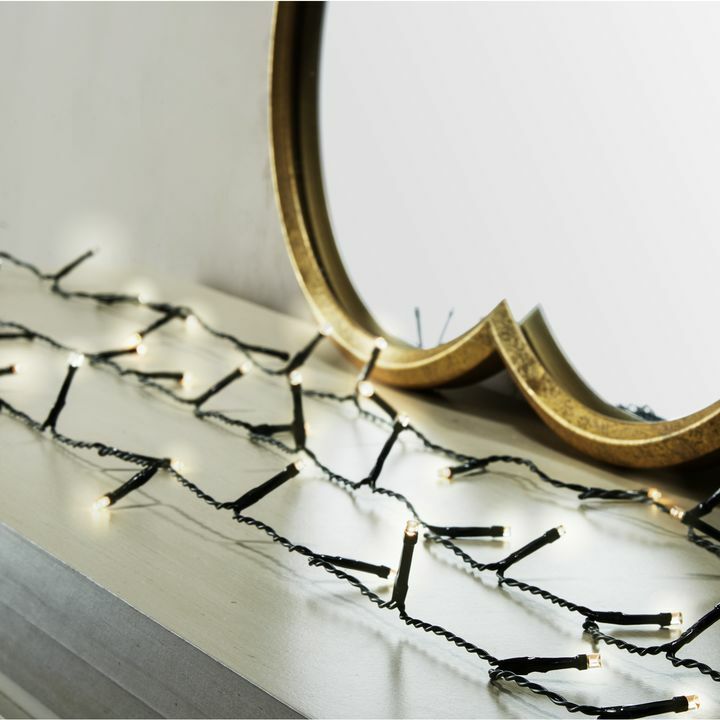 These string lights are for bottles and work great! can I use these outside? 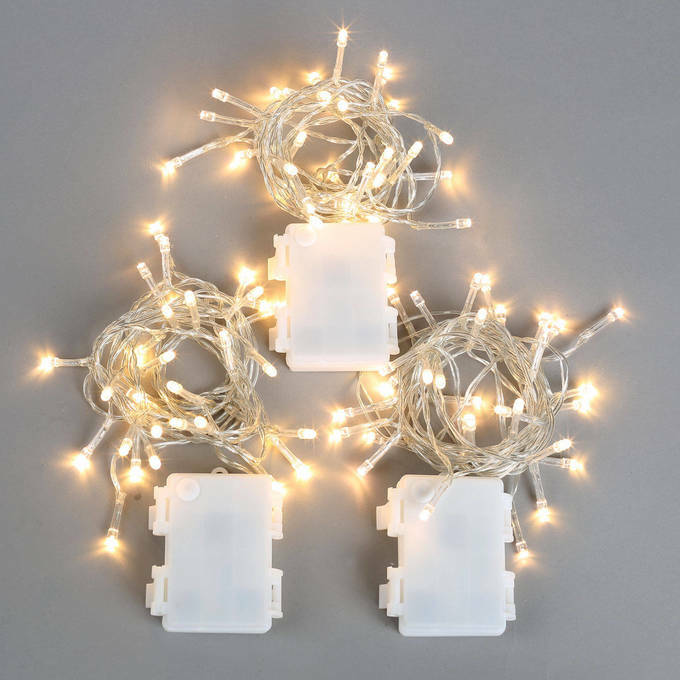 Can you connect these three stringseparate of lights? do they flash in unison or independently? I need to drill holes to poke each of these lights through. I see the height is 3/16 inch. Could you tell me how wide they are across? Thanks! The width across is 5mm. It's 30 LEDs per strand. Do these lights have a timer? These lights do not have a timer. 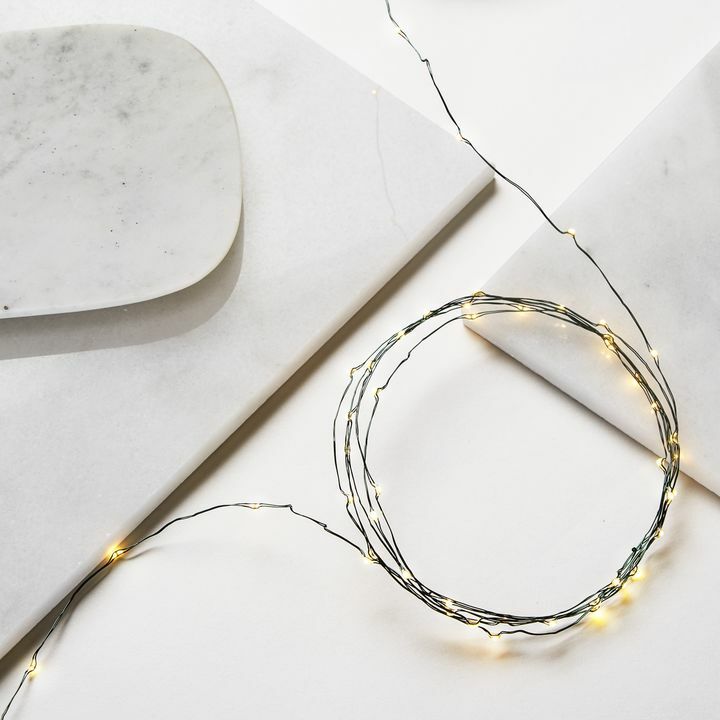 Are these lights on green, white or clear wire? 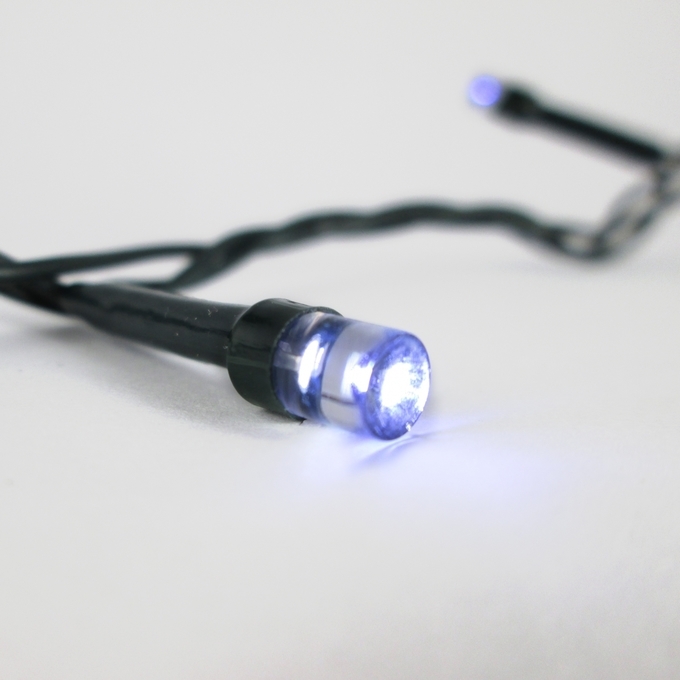 Does each 30 light strand have it's own battery pack? These are clear wired and each string does have its own battery pack. could I please ask how long one can anticipate them to stay lit with a single set of batteries? 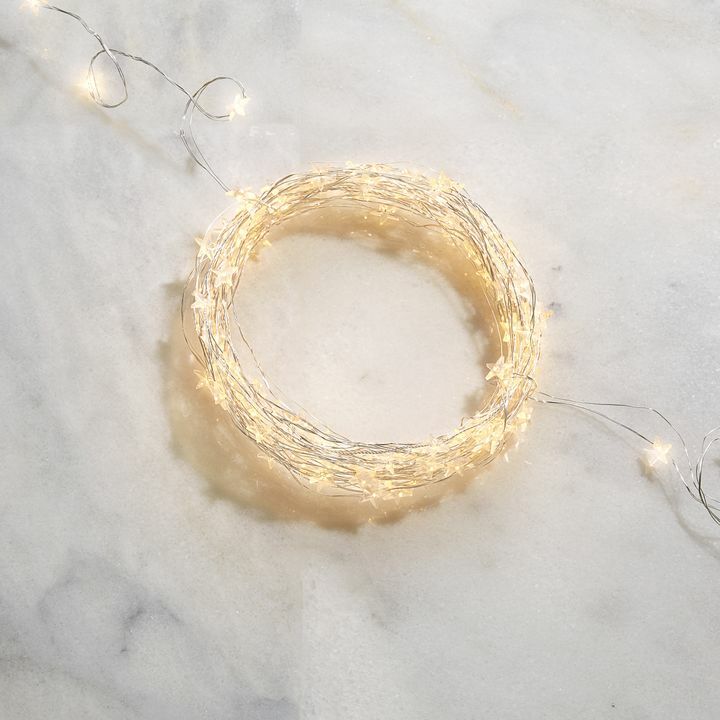 Can you give me the height of the bulbs in the Extra Bright Warm White 30 LED Battery String Lights, Set of 3? They're just LED lights, not really bulbs, and they measure .1875 (3/16) inch. I purchased a couple of sets of lights with a power pack a couple of years ago and I would like to order some matching sets. I do not have the part number but they came is strings of about 100 bulbs and were powered by a multimode power pack. The lights were a warm white. Do you by chance have records of that order? Below are links to the items you seek. 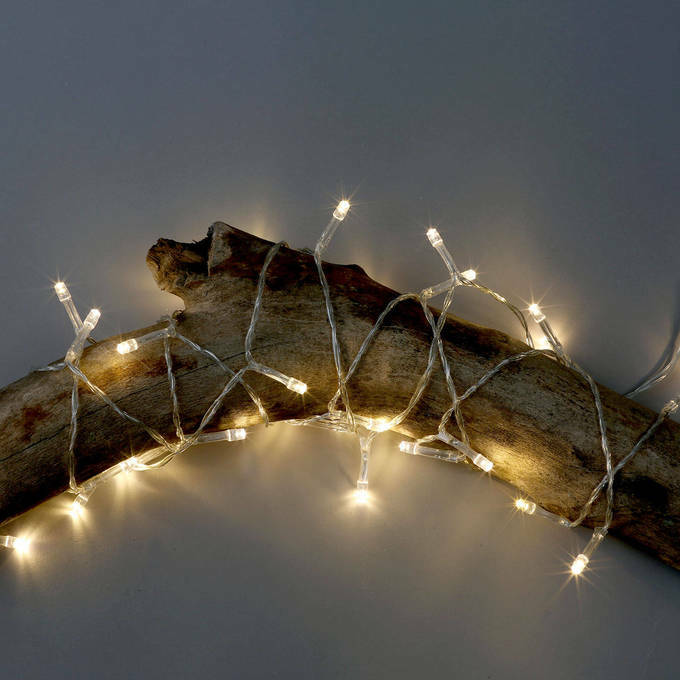 http://www.lights.com/strand-connectable-string-light-systems-p-36987.html http://www.lights.com/plugin-transformer-p-34412.html Have a great day.